Description: Apple Gin holds the best of both worlds. 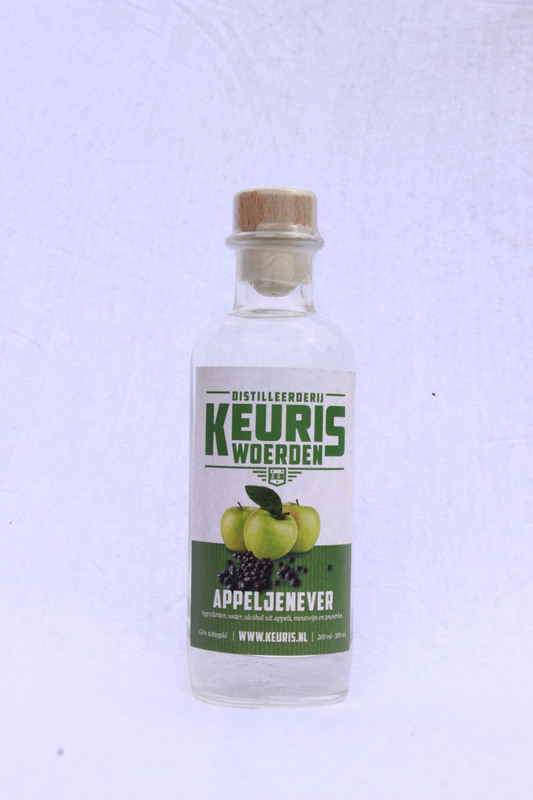 It is a blend of classic Dutch Gin and Apple Eau de Vie. The gin is made with barley wine and juniper berries, whereas the Apple Eau de Vie is made with fresh apples locally produced in the Green Heart region. Apple Gin is the result of hand selected ingredients of the highest quality, skilled craftsmanship and a perfected distillation technique. Colour: The Apple Gin is transparent and has a light golden glow. Taste: This gin proves that even with the most basic of ingredients one can make a fantastic product with a unique taste sensation. The aroma of apple and barley and hints of juniper berry all complement each other in an intense flavour. Aftertaste: The aftertaste is characterised by the harmony of fruit and barley. Enjoy!